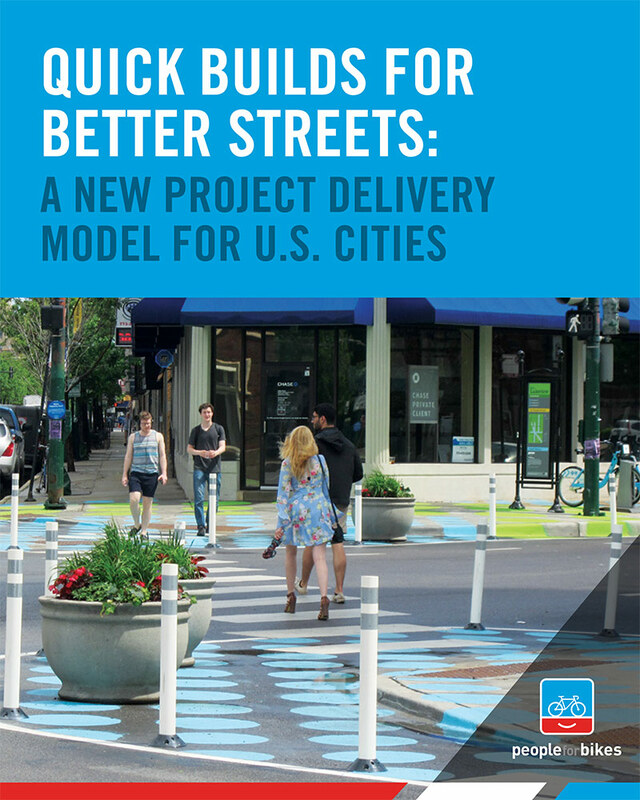 Researched and co-written by Jon Orcutt, policy director of the New York City Department of Transportation from 2007 to 2014, it’s built on interviews with staff in eight leading cities—Austin, Chicago, Denver, Memphis, New York, Pittsburgh, San Francisco and Seattle—to create a practical list of nine things cities need for a program that completes what we’re calling “quick-build” projects. We wrote last year that this American traffic engineering is entering its most exciting phase in decades. The same is true of transportation planning and project management. With this report we’re honored to be highlighting the work of some of the most creative bureaucrats in the country. We’ll be even more excited to watch more and more smart bureaucrats find creative ways to adopt and adapt these principles in the years to come.